Davidoff Aniversario No. 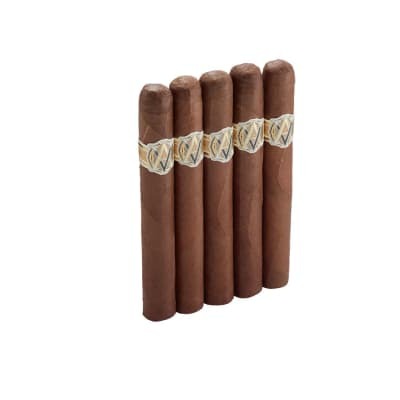 3 cigars feature Davidoff's renown 'R' and 'Double R' cigars, as well as several figurado shapes including a Torpedo, two Pyramids, a Perfecto and the unusual, three-cigar-braided Culebra. 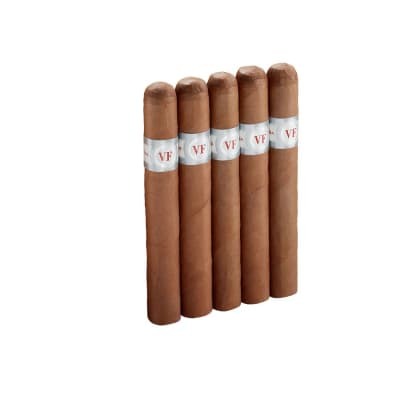 These creamy-smoking, full-bodied cigars handcrafted with the finest Dominican tobaccos (selected from up to four different harvests) and Connecticut wrappers, are distinguished by their artfulness, robust flavor, and captivating aroma. 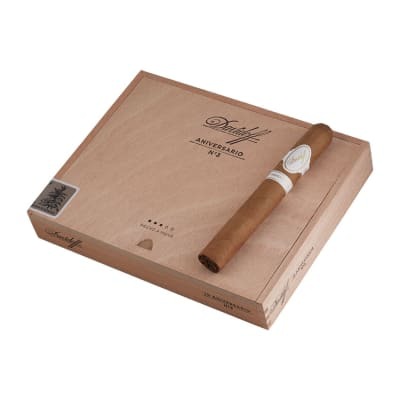 Davidoff Aniversario No. 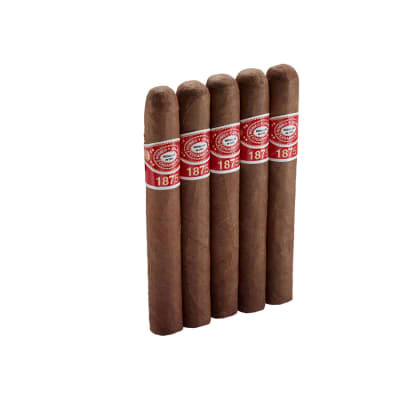 3 5 Pack cigars feature Davidoff's renown 'R' and 'Double R' cigars, as well as several figurado shapes including a Torpedo, two Pyramids, a Perfecto and the unusual, three-cigar-braided Culebra. 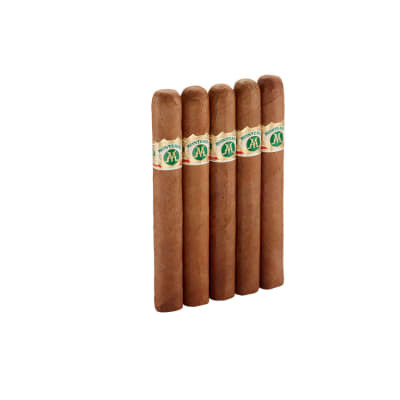 These creamy-smoking, full-bodied cigars handcrafted with the finest Dominican tobaccos (selected from up to four different harvests) and Connecticut wrappers, are distinguished by their artfulness, robust flavor, and captivating aroma.